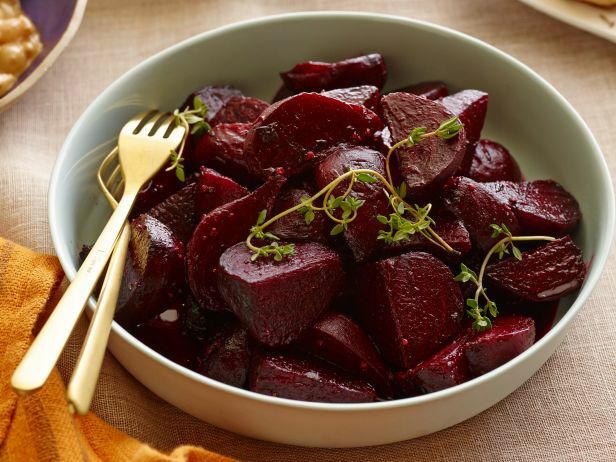 Not only are these beets delicious, they are so good for you.These colorful root vegetables contain powerful nutrient compounds that help protect against heart disease, birth defects and certain cancers, especially colon cancer. Place the cut beets on a baking sheet and toss with the olive oil, thyme leaves, salt, and pepper. Roast for 35 to 40 minutes, turning once or twice with a spatula, until the beets are tender. Remove from the oven and immediately toss with the vinegar and orange juice. Sprinkle with salt and pepper and serve warm.